I visited quite few wine bars in my life when I say few I mean like ten, maybe. I have one favourite back at home (Movia) and two favourites in London (one is on Columbia Road and one near Embankment Station Gordon's Wine Bar). But this one is my favourite in Malta. Even my knowledge about wines is not spectacular. Basically is quite limited by picking wine based on the label on the bottle. Or on a simple question: "Is it sweet?" However, we have been invited to visit this place by James's friend Bernice. She was talking about it when we were still at home and cause us the curiosity to visit one day. It finally happened on our last night in Malta. This little treasure in Gharghur was only 10 min from our hotel in St. Julius and its called Cent. Anni. This is an old wine bar with history from 19th Century. It's used to be a local haunt for villagers and British forces based in and around the same village. I liked this place because is it small and has amazing character. Unique and welcoming. They are offering daily local fresh products with an excellent selection of great wines. 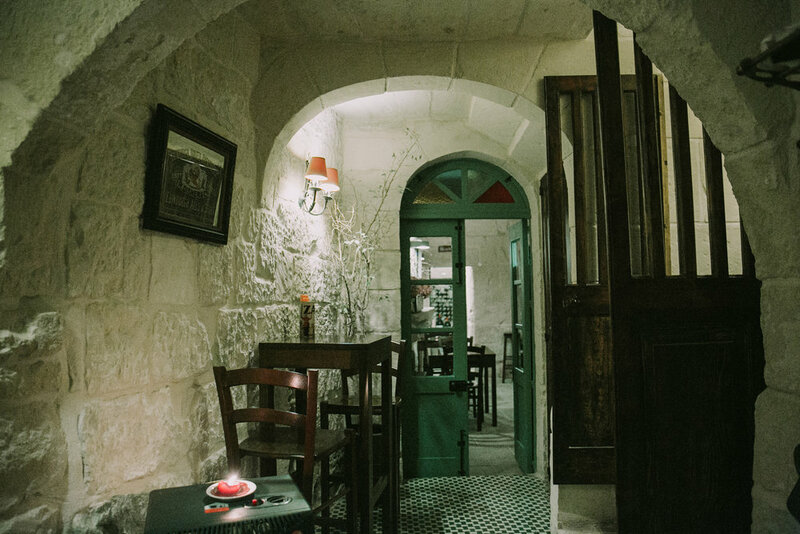 Here you will experience an atmosphere of typical Maltese Wine Bar and Restaurant. Just want to say thank you to Bernice for inviting us and massive thank you to Rene and Sue letting me exploring around. It was a pleasure to be there.